It’s tempting to think that flying a modern “glass panel” airplane with redundant alternators, batteries, buses, screens, sensors, and instruments means you’ll never have to fly partial panel again, doesn’t it? 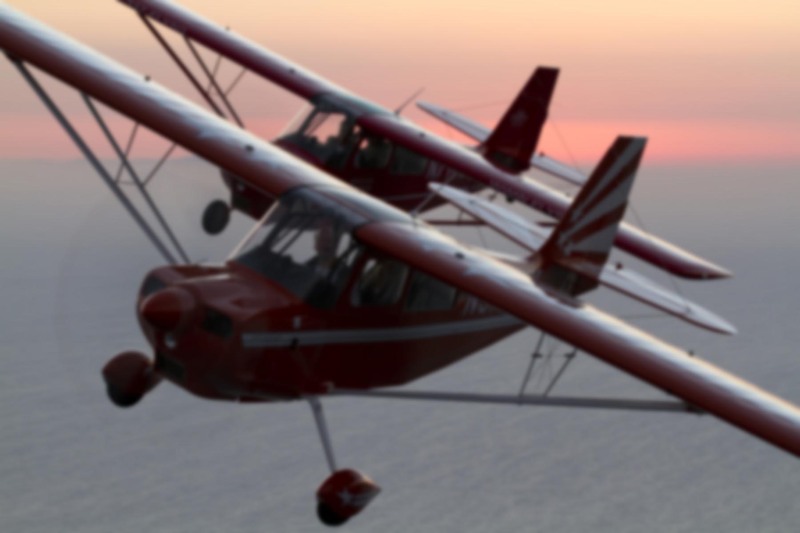 These avionics suites are professionally-designed, installed, FAA-certified and can run $50,000 or more even for a lowly single-engine piston aircraft. They benefit from the latest technology and are designed to be fault tolerant. They’ve been torture-tested and engineered to withstand the environmental rigors they will endure. So, at the very least, the odds of a major in-flight failure should be lower than when flying behind a panel with 30 year-old analog gauges with all their vibration and attitude-sensitive moving parts. Alas, in my experience this has not proven to be the case. Quite the contrary, in fact. Much like flying a multi-engine aircraft, there are simply a lot more parts and systems to fail on a glass panel. Those systems are electronic and as such tend to be far more sensitive that their predecessors to things like moisture, improper or unstable voltage, and grounding issues. When they work as designed, for the most part they are a major asset to flight safety. When they don’t, it can really leave you scratching your head about what’s going on. While it’s rare for the whole panel to go dark, when problems do crop up they can be quite vexing to troubleshoot. I had a flight like that recently in a Cirrus SR22. I had just departed Napa County Airport (KAPC) for John Wayne (KSNA) with a planned route covering about 320 nautical miles. 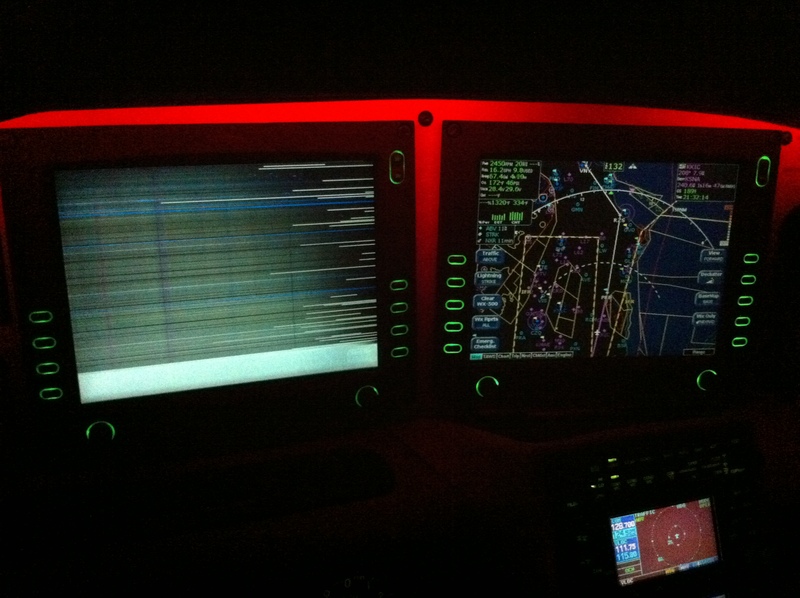 It was a low IFR departure at night with ceilings of about 500′ AGL. I broke out of the clouds at about 2000′ and continued climbing southbound. The first problem I encountered was a failure of the #1 Garmin GNS-430 data card. This was more or less a non-issue. Data cards are inserted and removed every 30 days to update the database, and every now and then the jostling will cause one will go bad. The 430 was still useful for radio communication, so I simply elected to use it’s screen as a place to display traffic. I was passing east of San Jose a few minutes after departure when the traffic sensor failed. Again, I’ve seen this before. After checking that no circuit breakers were blown, I rebooted the avionics bus and the traffic sensor came back online. About 10 minutes later, the PFD suddenly failed. It was receiving power, as evidenced by backlighting around the buttons surrounding the screen bezel, but the screen was badly corrupted. Again, I’ve seen this on various SR22s, but it usually happens on boot-up. So I powered down and rebooted the entire electrical system, batteries, alternators, avionics, the whole works. No change. Again, no breakers were blown and the emergency checklist for PFD failure was not much help. When I encounter avionics issues in an aircraft, one of the first things I check is the health of the electrical system. As I mentioned earlier, unstable or improper voltage does bad things to electronics. In this case, the bus voltages were a bit odd. Normally in an SR22 the main bus should run at 28 volts and the essential bus at 28.75. What I saw on the MFD engine page was ~28.5 and ~29.3. Roughly a half-volt too high on both buses. I’d never seen that before. Was it possible that both alternators were producing too much voltage? They are independent devices and a malfunction in one alternator shouldn’t affect the other, so perhaps the problem was in the Master Control Unit or somewhere else. It was about this time that the yellow “Alt 2” light appeared on the annunciator panel, indicating that alternator #2 was offline. Yet the according to the MFD, the essential bus (which is powered by alternator 2) was still running about three quarters of a volt higher than the main bus — a sign that alternator 2 was still working. Like I said, a head scratcher. Anyway, a bit more sleuthing revealed that TAWS, sferics, and autopilot systems were also offline. A TAWS system test said “TAWS system unavailable. Computer OK. AHRS bus not available.” The sferics system was coming and going. The autopilot, despite what the PFD failure checklist said about being able to use the autopilot without the PFD, would not work correctly in any mode. It always wanted to turn right. The S-Tec 55X is a rate-based autopilot, and it gets rate-of-turn information from an analog turn coordinator located behind the instrument panel. 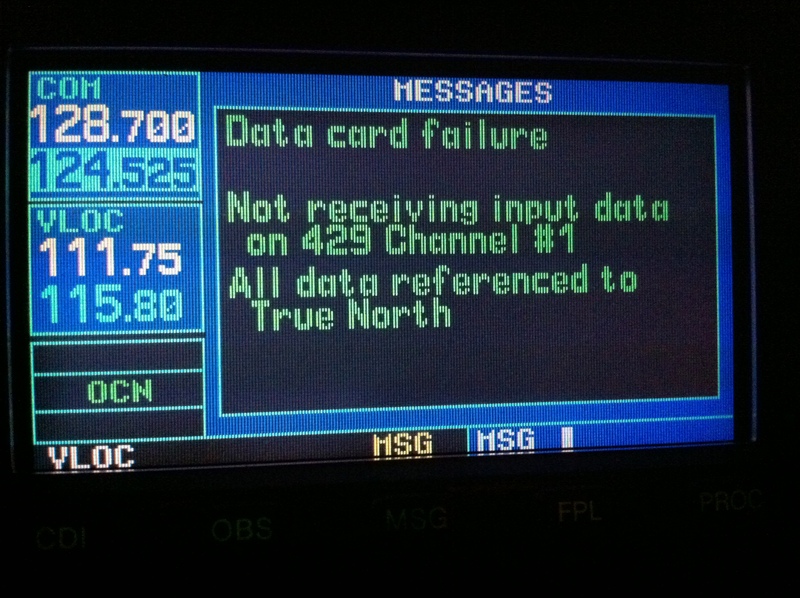 I recalled something about the S-Tec only being able to connect to GPS 1 for navigation guidance without the PFD, and since that radio had no navigation data available due to the faulty data card, it was stymied. But it should have at least been able to function as a wing-leveler. So there I was, flying southward on a very dark (though clear and technically VFR) night with no visible horizon in an all-electric aircraft with a bum electrical system. From the flight up to Napa, I knew there was a horizon out there, it was just masked by all the light emanating from the instrument panel. After reducing the panel lights to the minimum possible, I was able to make out a faint horizon. I’m sure my ophthalmologist would have commented on the eye strain this was sure to cause, but you gotta do what you gotta do, right? The next step was to advise ATC of the issue. By this time I was well south of the San Francisco metropolitan area and over the San Joaquin Valley, which was socked in with low fog all the way to the Los Angeles basin. The best course of action seemed to be a diversion to the west since the fog wasn’t present in that area, so I proceeded in that direction and let Oakland Center know what was happening. Along the coast, there were plenty of VFR airports and the situation became more “visual” once I was in an area with city lights and highways. The next question: weather to land at an intermediary airport or continue on to Los Angeles. I monitored the electrical system for the next 20 minutes and nothing got any better or worse. The PFD failure didn’t bother me. I just wasn’t keen on flying without communication radios. But the way I saw it, none of this stuff was going to affect the engine. I had good VFR conditions in an area and along a route I was very familiar with. In fact, it was hard to find a field I hadn’t been to. Even if all electrical power was suddenly lost, I had no concern about being able to make a safe landing at a known airport. So I continued the flight, and landed uneventfully at Santa Ana about an hour later. In reviewing my logbook, about 2/5ths of my 5,500 hours are in glass panel airplanes. Yet they account for 100% of the electrical and partial panel abnormalities I’ve encountered. It’s not that the aircraft are poorly designed, built, or maintained. I believe it’s due to the fact that they are just more complex and, as I mentioned at the top of the page, less tolerant of voltage, humidity, and other conditions which are outside the design specifications. The failures can take on interesting forms. On the plus side, I was discussing the flight with a fellow SR22 pilot and realized that even under “partial panel” conditions, I was still flying with a suite of avionics which would be the envy of many general aviation pilots. I don’t look back on the situation as a hazardous one, but rather a puzzling scenario I have not been able to fully explain or duplicate. Nor is it one which I’ve ever seen simulated, something that’s worth considering when you think about the possibility of flying with broken glass. A SR22G2 I used to fly regularly had a persistent ALT2 light on problem. The electrical system MCU had been replaced and several different Cirrus service centers tried to chase down the problem. A shop in Las Vegas finally got it to go away, but I don’t recall how. The owners where okay flying it with the ALT annunciator on, but I did my best to avoid low-IFR conditions and night IMC. Ironically, one of the owners taught electrical engineering. He was not impressed by the Cirrus MCU design choice of packaging the control circuitry for ALT1 and ALT2 into one physical unit. Kinda creates a single, physical point of failure for what are supposed to be separate and redundant systems. The ALT2 light is a common problem with early G2/GTS models with the older style electrical system. One airplane I fly a lot has that issue, and it’s never been resolved. On the other hand, it’s easy enough to go to the engine page on the MFD and see that the bus voltages are correct. If one has a good understanding of the electrical system design, it’s easy to see that if Alt2 really was offline, the essential bus voltage would be 28.0 (assuming Alt1 is online) or ~24 volts (if it’s not). If the essential bus reads 28.75, then Alt2 has to be working. This isn’t to say I’m happy or comfortable with a false annunciator staring me in the face. It’s like flying around with the gear warning horn blaring: the pilot eventually de-sensitizes himself to the warning device. On the other hand, it’s a well known and well documented issue, and even the actual loss of Alt2 wouldn’t be the end of the world. Much like the owner you reference, I’m not a big fan of the MCU. I understand how it’s supposed to make maintenance easier and less expensive, as well as the benefits of “single point” grounding. But it practice those design choices haven’t proven to be worth the hassle. And as any Cirrus owner will tell you, replacing the MCU is neither easy or cheap. The airplane has many amazing features and safety devices. I just wish the electrical system was a bit more robust. Of course, in their defense, it has been improved over the years. Wow, way to keep a clear head while those around you fell, or at least the avionics around you. I’ve seen that PFD screen on 4CM before and it ended being a complete failure of the PFD. But it was a VFR scenic flight with a friend from Wisconsin so a quick trip back to SNA was in order. Also can agree with John about the whole MCU thing. Had a flight to Mammoth grounded because of an MCU failure that locked off all power to the system. So much for redundancy in the electrical system, eh? Thankfully I caught this on the ground. Another thought, while you had the electrical system down during some of the avionics reboots , did you try moving the bad nav card from GNS #1 and replacing it with the good nav card in GNS #2? Or were you afraid of corrupting that one too? Hi Mike! Your instructor sounds like a hard *ss! 🙂 Yes, the standby gauges were working just fine. I had canceled IFR after breaking out of the top of the clouds (this was before the PFD failed) and the autopilot was doing the flying when things started to go awry. I could have easily flown with the standby gauges and the GNS #2’s CDI. I also had a massive moving map on the MFD. But hand flying that way for an hour and a half was sure to get old, and I wanted to ease my workload so I could troubleshoot the electrical issues. Figuring I was VFR, I said “hey, there’s a horizon out there, let’s see if I can make it appear”. Better outside reference would also make it easier to see traffic, alternate airports, and so on. As my eyes adjusted, I could make out more and more of what was outside the airplane. I didn’t try moving the bad nav card. As you noted, I didn’t want to take the chance of damaging the remaining GPS. I did, however, power down the #1 GNS, remove the data card, and try re-seating it to ensure the connection was solid. I suppose even if the #2 Garmin had died, I could have used the top one. Sure, the data card was bad. But it still knew my lat/lon, and in a pinch I could use that to figure out where I am. Plus, airport and navaid lat/lon coordinates are published in the A/FD, so I could get along with that, a VFR chart, and some guidance from ATC. It wasn’t needed, but I was definitely aware that there were multiple levels of good data at my fingertips. I’ve always thought of 4CM and 5MB as testaments to the punishment the Cirrus was able to withstand. Life “on the line” isn’t easy for an airplane, and they’ve held up fairly well considering the hours, training use, etc. We’ve certainly come to know their soft spots though, eh? The idea of redundancy is often taken too far by pilots. Multiple electrical systems and radios doesn’t mean there aren’t still single points of failure, as you noted. It’s much like airplanes with multiple engines. They can still fail at the same time due to bird strikes, bad fuel, pilot mismanagement, fuel exhaustion, environmental conditions (volcanic ash, anyone? ), sabotage, lousy maintenance, extremely poor luck, and so on.